The centuries-old Navajo-Churro are known for wool. They have a long, greaseless protective top coat and a soft undercoat. The sheep are toned in 14 colors, from white through every hue of brown, black, and gray. The wool is used primarily for weaving outer garments, rugs and blankets. Lamb fleece wool makes terrific socks and sweaters. Connie Taylor with the Navajo-Churro Sheep Association says they’re a small animal, which means you can have more of them per acre and they eat less. “I feed my sheep little to no grain,” Taylor says. “And I feed pretty much straight grass hay. I cut ditch-bank weeds and so on with a hand scythe, and my sheep can raise twins on just straight forage.” We have never ever fed our sheep grain. As desert sheep, Navajo-Churros survive on less-than-perfect forage and provide good brush control. And they only graze about one-third of the day, as compared to meat breeds that munch all day. They were brought to the North America by the Spanish Conquistadors in the 16th century as a source of food and clothing for their armies. By the 17th century Churros were popular with the Spanish settlers in the upper Rio Grande Valley. Flocks of Churros were also acquired by Native Americans through raids and trading, and soon became an important part of the Navajo economy and culture. A series of US Government sponsored flock reductions and “improvements” (by cross breeding) decimated the Navajo flocks until the old type Churro sheep nearly disappeared. In the 1970’s several individuals began acquiring Churro phenotypes with the purpose of preserving the breed and revitalizing Navajo and Hispanic flocks. The Navajo-Churro Sheep Association (N-CSA) was formed in 1986 to preserve and promote this original American Breed. The name “Navajo-Churro” was chosen to honor both their Navajo and their Spanish heritage. While more than 4,200 sheep have been registered since the N-CSA was formed, Navajo-Churro sheep are still considered a rare breed by the American Livestock Breeds Conservancy (ALBC). Navajo-Churro sheep carry the polycerate gene which allows them to produce multiple horns, and both rams and ewes can be horned or polled. 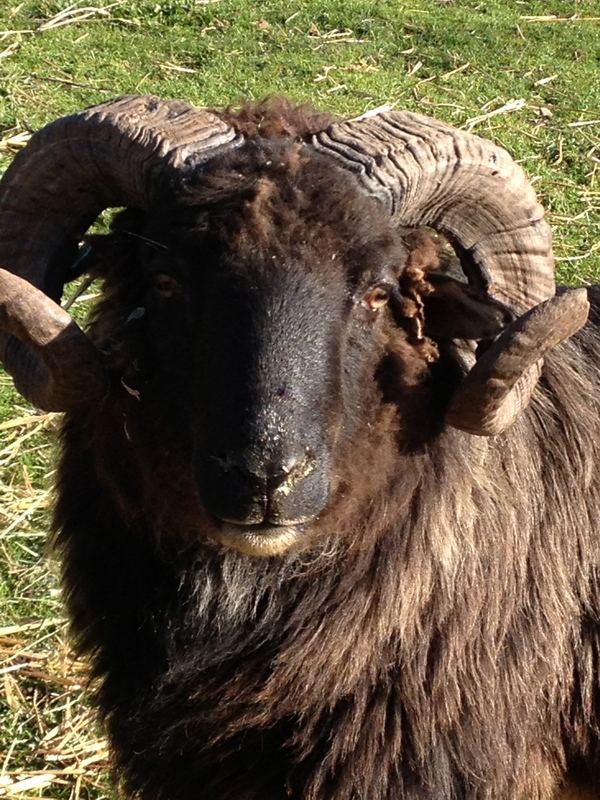 They are a small to medium size breed with ewes weighing form 85 to 120 pounds and rams ranging from 120 to 175 lbs. Navajo-Churro wool comes in a wide range of natural colors (for a list of Navajo-Churro colors & patterns click here), is classified as coarse and is composed of three distinct types of fiber: 1) Inner Coat (3-5″staple length): wool fibers ranging from 10-35 microns, comprising 80% of the fleece, 2) Outer Coat (6-12″staple length): hair fibers measuring 35+ microns, comprising 10-20% of the fleece, 3) Kemp: short opaque fibers of 65+ microns, not to exceed 5% of the fleece). The fleece is open with no defined crimp and should be lustrous with a silky hand. It is high yielding with a low grease content. 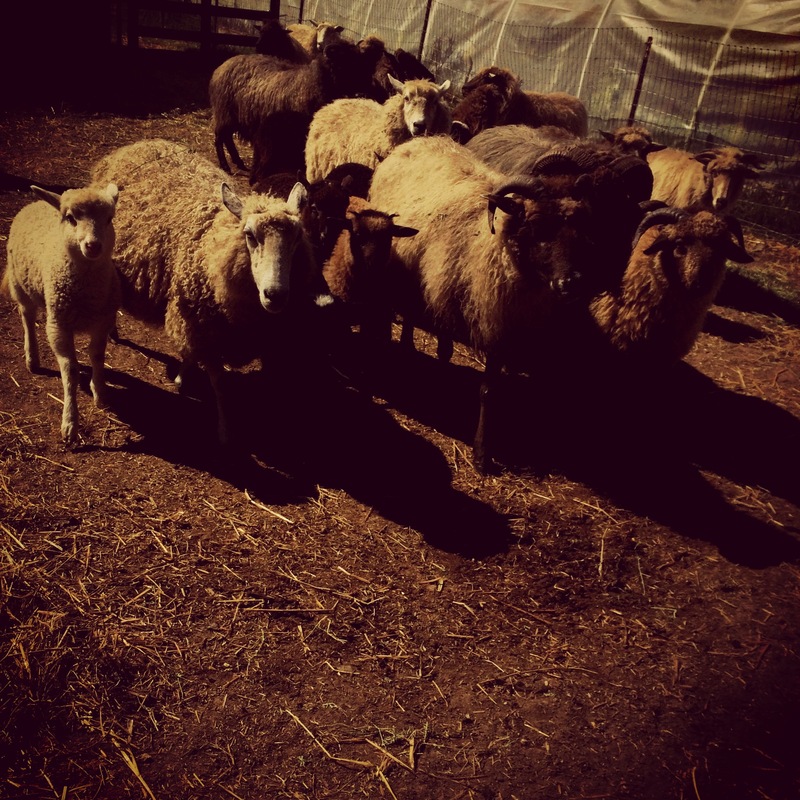 •We like helping to preserve the original American sheep. •They’re independent, intelligent sheep with a fascinating history and a very special heritage. •They’re very hardy and disease resistant. •Their smaller size means they eat less food and have higher stocking rates per acre than commercial breeds. •Being desert sheep, they can survive and thrive on less than perfect forage. •The ewes tend to twin, have few lambing problems and are excellent, protective mothers. •They have the quintessential weaving wool – strong, beautiful and available in a wide variety of natural colors. •Lamb fleeces are rich in color and make terrific socks and sweaters. •They produce a lean, flavorful carcass and beautiful pelts. •They’re considered a dairy breed (haven’t tried that yet).